Our Testing & Assessment program is meant to establish a baseline, midpoint, or conclusion in relation to the athlete or team's performance training. Our research backed tests and assessments are carefully hand-picked and conducted to determine each athlete's or team's true values and deficiencies in comparison to normative data. We don't necessarily look for weakness when we evaluate, but more-so, to determine areas of improvement. 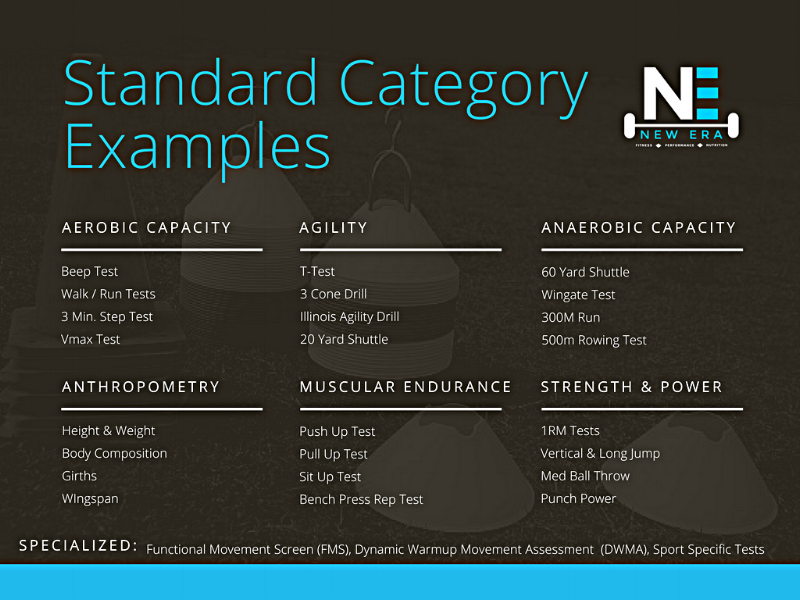 We then use this key information to help build the athlete's or team's individualized performance program. For example, if you are a running back that can run REALLY fast but can't change directions quick enough, we may focus your training more on agility and reaction than on acceleration and top end speed. Or, if you are a basketball player that can handle the ball well but can't jump very high, we my focus your training more on overall power and jumping mechanics in order to increase your vertical distance.